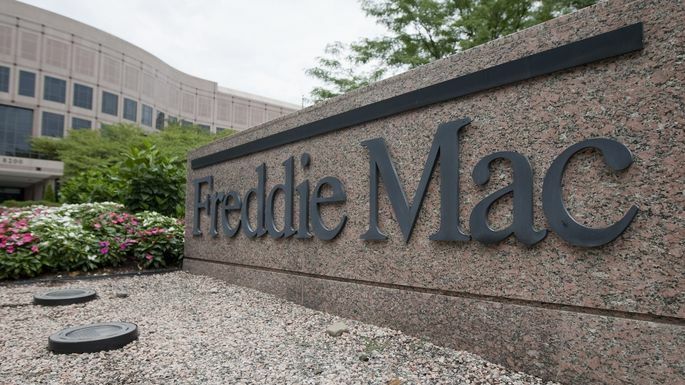 Freddie Mac, the country’s largest backer of apartment loans, is rolling out a new program that will offer lower-cost financing to owners who agree to cap rent increases for the life of their loans. The initiative acts similar to rent control—which has been gaining traction in many parts of the country—by keeping units in private hands and controlling the rate of rent increases. But it comes with less political baggage because it is voluntary. The program, announced Tuesday, will begin immediately and be available all over the country. Mr. Brickman said he hopes hundreds of properties will take advantage of it. The initiative comes at a potentially appealing time for real-estate investors who are facing a slowing rental market. Freddie Mac will provide mezzanine debt—which is more risky but pays a higher interest rate than senior debt—at below market cost. While rent increases have naturally slowed over the past year or so, the initiative protects tenants from steep hikes when the market accelerates again. Operators who receive the low-cost loans must have at least 50% of the units affordable to households making the local median income or below. Borrowers must then agree to limit rent growth on 80% of units. “You’re taking some of the opportunity to hit a home run off the table but arguably making it more likely you can hit a single or a double,” Mr. Brickman said. Funding housing for middle-class workers such as teachers, nurses and police officers has proven an especially difficult problem for policy makers. The vast majority of development over the past five years has been targeted at higher-income professionals, leading to a glut of options and plenty of bargaining power for these renters. At the same time, lower-income renters are struggling but at least are eligible for government aid through programs such as Section 8 housing vouchers and the Low Income Housing Tax Credit Program. In the past couple of years, as downtown rental markets have become oversupplied, investors have begun focusing on buying up less expensive buildings in need of renovations and raising rents. Until recently, that was pushing up rents for midprice rental properties even faster than luxury units. Average rents for midrange Class B properties rose by nearly 20% from 2012 through 2017, while high-end Class A rents rose by 16.6% on average, according to real-estate-data firm RealPage Inc.
More recently, that trend has reversed, as class A rents rose 3% this year through June, while class B rents rose 2.7%. This spring, Freddie Mac dipped its toe into offering low-cost loans for apartment operators who agree to cap rent increases. Mr. Brickman said this latest offering will have much broader application because it targets investors without an explicit affordable-housing focus and allows them to use more leverage on projects rather than higher-cost equity. Freddie Mac has an incentive to find ways to target middle-income renters because its apartment-lending business helps fulfill a mandate from the Federal Housing Finance Agency to lend to underserved communities. Roughly two-thirds of the $73 billion of multifamily loans Freddie purchased in 2017 went to apartments affordable to households making less than 80% of the area median income. Still, that is down from three quarters of its loans that went to such units in 2013.